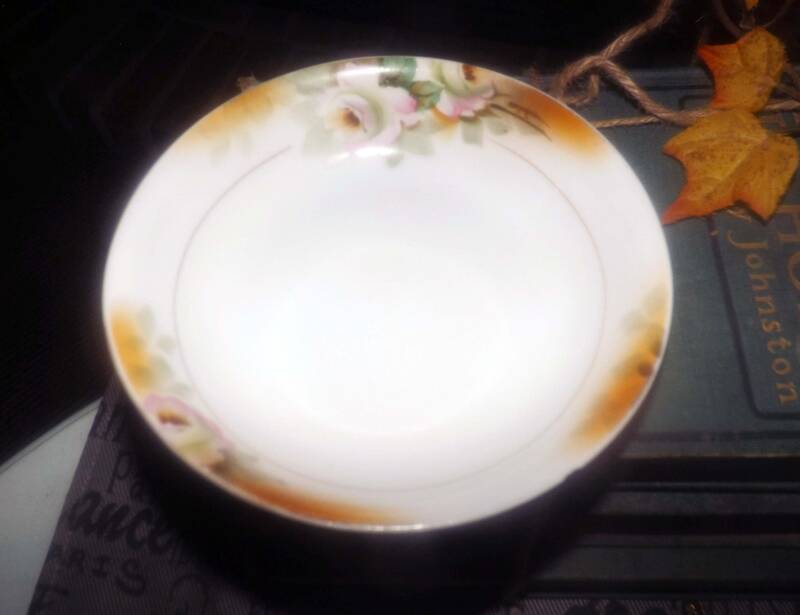 Pair of antique (1910s) hand-painted Nippon fruit nappies | dessert bowls. Rising Sun Nippon mark Van Patten 84 to reverse. Roses on white. 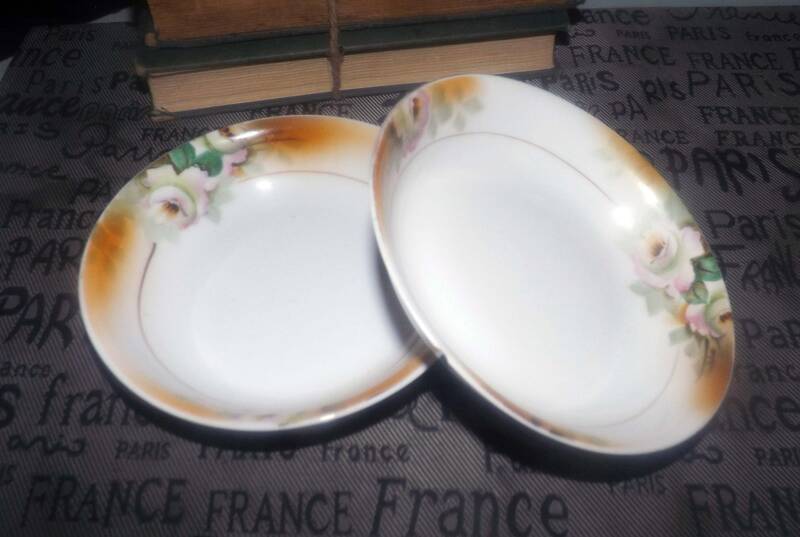 Pair of antique (1910s) hand-painted Nippon fruit nappies | dessert bowls. 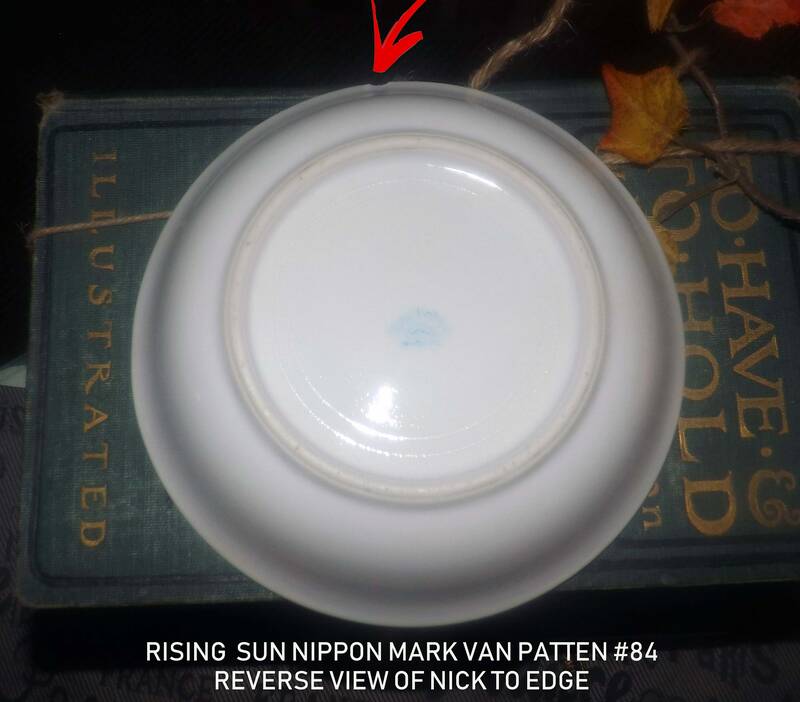 Rising Sun Nippon mark Van Patten 84 to reverse. 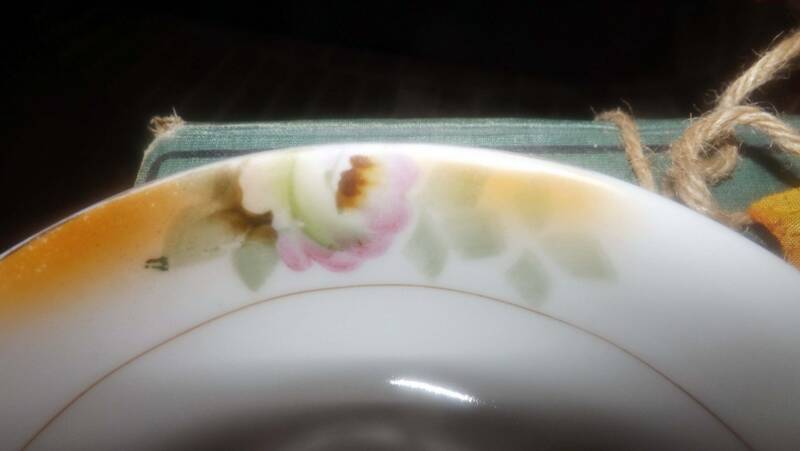 Pink roses and greenery set onto a white ground with pops or orange and yellow and a smooth edge and gold inner band. In EXCELLENT! 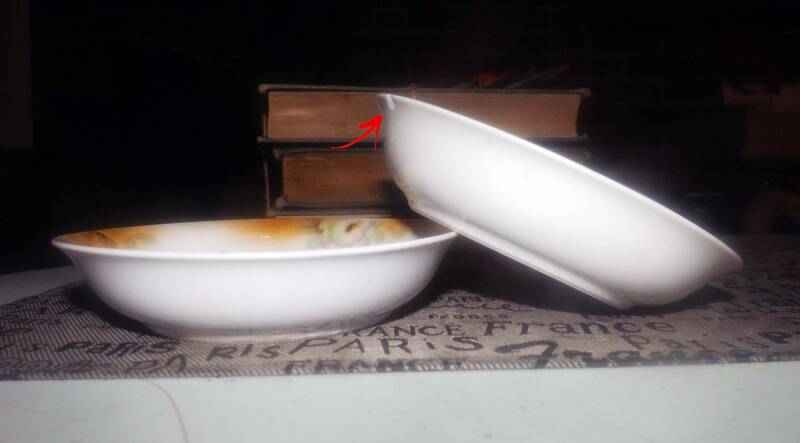 antique condition, one of the bowls has a WEE! 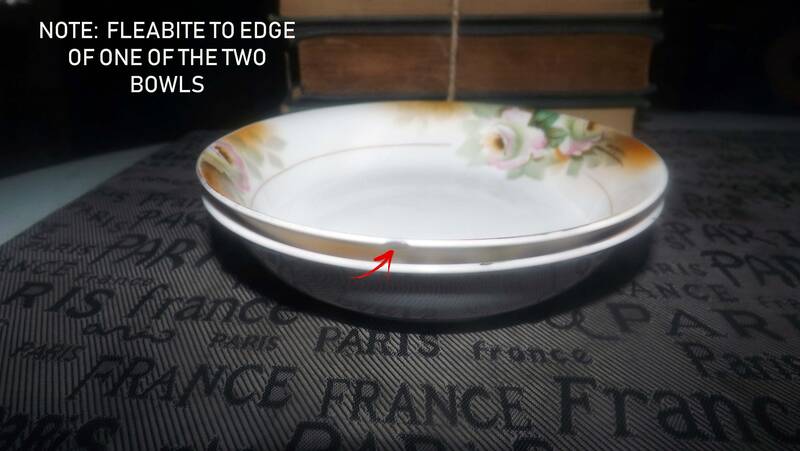 nick to the edge (please review each of the posted photos for a complete visual of the items). Otherwise, there are NO! other nicks, chips or fleabites, NO! cracks, LITTLE TO NO! loss to the gold band, LITTLE TO NO! crazing and NO! 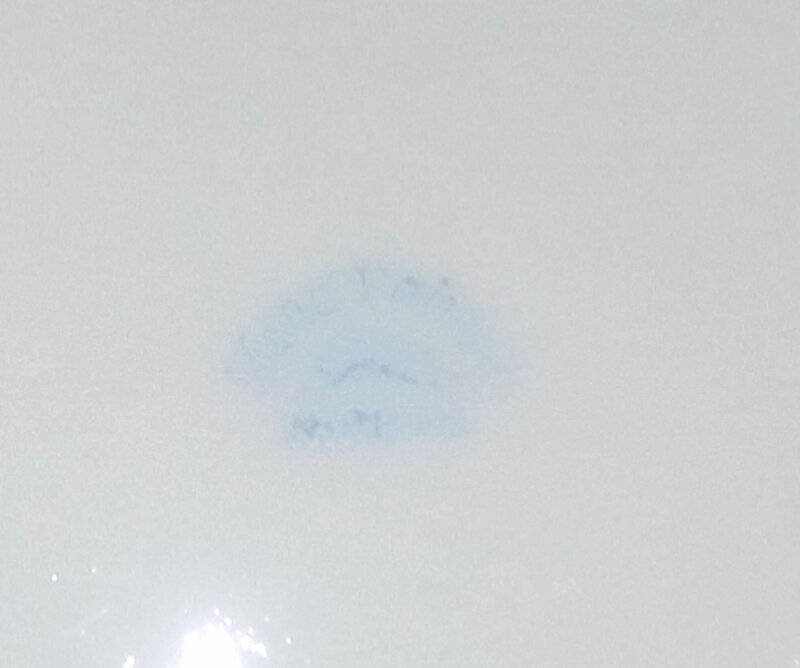 marks or stains. The hand-painted florals are bright and vivid with MINIMAL! fading or wear apparent. Approximate measurements: 5-1/4" in diameter x 1-3/4" deep with a smooth, gold edge.